3DRetro will be releasing the third colorway of Nathan Ota’s awesome vinyl figure, Coozie, next week at San Diego Comic-Con 2018! 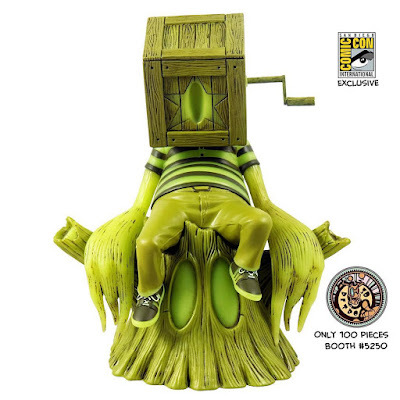 The San Diego Comic-Con 2018 Exclusive Glow in the Dark Coozie stands 8” tall, features a removable tree stump base, and is limited to just 100 pieces. Collectors can purchase this limited edition collectible at the 3DRetro SDCC booth #5250 for $100.